A long-wearing, buildable cheek color that imparts a bright hue. Discover pure, natural cheek color that looks virtually powderless. Its unique, patented technology transforms pure liquid pigment into a smooth, silky powder through a process of slow baking, leaving true color—from compact to cheeks.This silky smooth, stay-true formula creates a vibrant, healthy-looking glow without a trace of powder residue. 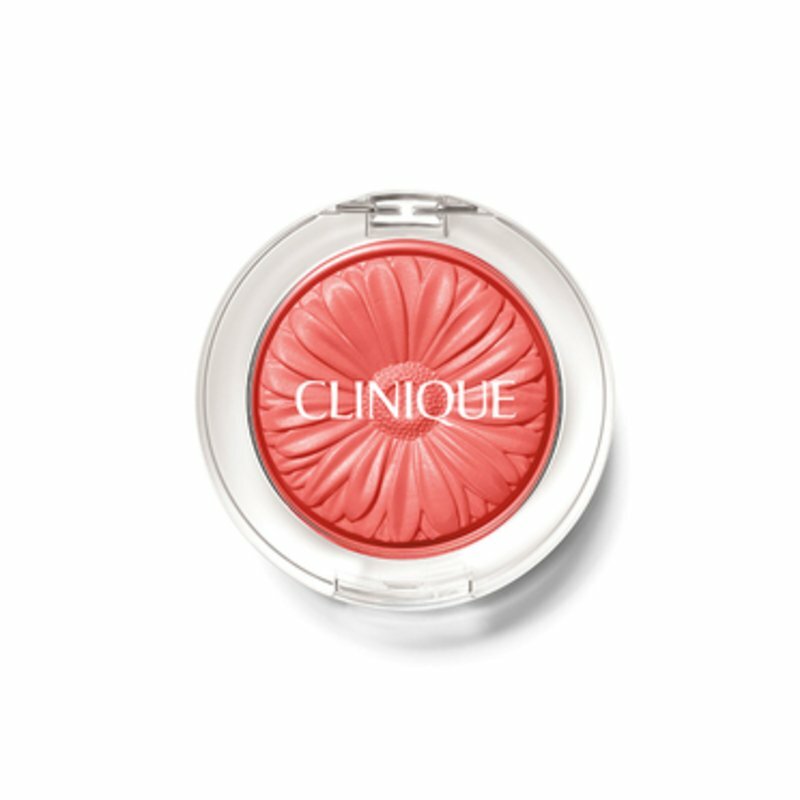 Clinique Cheek Pop’s embossed gerber daisy motif embodies its fresh, modern vibe. All shades are bright yet sheer and buildable. It is 100 percent free of fragrance and ophthalmologist- and allergy-tested. Simply sweep it over the apples of the cheeks, blending out towards the hairline and across forehead. Repeat to build intensity. Gently blend up towards the cheekbones and temples.